Bubble: Really now. I've been stuck like this for years... I'm more than a little tired of catching marzipan mice for dinner. Bubble: You have been looking for something to restore my form and Bubble's voice. It's been years. You still haven't found anything. Bubble: Fortunately. I have found a possible solution. You need to go search in the area between Atrea and the sandsea for teucrium marum. Bubble: Cat thyme. It grows well near there. It should have the properties you will need to restore Bubble's voice at least. Bubble: I'm still looking into what can be done about me since you still haven't succeeded in turning me back into a human. Bubble: You can leave me here. I'll make sure Zorbak doesn't get near Myx. Bubble: I promise you don't have to worry about Zorbak, just go. Bubble: I heard you finally free. The sisters have already left and they were very excited. They may have found a cure for me. Bubble: There are a few things we will need you to find; Cat's whisker plants, cats eyes chrysoberyl, and cats tail reeds. I'll need two of each. Bubble: That gets <Character> out of the way. Bubble: Come on out, pour that in and let's get out of here. Bubble: Good. Once the candy goes out, there will be thousands of new cats around. Bubble: You're still going to help me, right? I helped you get into the candy making room just like you wanted. Bubble: Good. It's been far to long and I'm done with being a cat. Bubble: My sister's couldn't find a way and filling the world with other cats didn't work either. I just want to be normal again. Bubble: I can't believe I fell for that again. She was just as useless as my sisters. Bubble: She may be a powerful necromancer, but she is absolutely useless at breaking curses. Bubble: I can't even get back to Croft now. Ugh, this couldn't get any worse. Bubble: Oh, right. The mangy furballs outside. Bubble: *sigh* This place may be as close to Croft as I can get but it's still not home. Bubble: I might as well find a place to sleep. I don't want to get rained on too. Bubble: Hello? Is anyone here? Bubble: Oh! I didn't expect there to be a cat already in here. Bubble: No, I just needed a place to stay. It's a long story. Bubble: Thank you. I didn't want to be out there with those...beasts by the walls any longer. Bubble: It's been quite a while since anyone has actually asked about that. Bubble: Well it couldn't hurt to tell you and I'll be here all night anyway. Bubble: Then he/she decided to attack the golem we built. Bubble: That's not even the worst thing that he/she has done. Bubble: See? Verly thinks I've been quite pleasant. Bubble: Actually you could be helpful. Bubble: Well, while we we've been talking, Verly and I realized we might like a few things. Be a dear and go get them for us? I even made you a list. Bubble: Yes, I put that on there. Bubble: It's only a few things. It shouldn't take you too long. Now scoot. I want to talk more with my friend here. Bubble: I can't believe he/she really thought you wanted those tails. Bubble: Oh this is too funny. Bubble: You actually got everything? Even the Kitty Nip? Bubble: Yes, thank you <Character>. Bubble: No, I suppose you wouldn't. Bubble: I don't know. Let me find out. Bubble: <Character>, since it's not even close to Croft's return I was going to stay here. Do you think it would be safe for me to? Bubble: A talking cat might cause people to wonder what's going on though, especially with the Rose in charge. Bubble: I promise I won't cause any issues. Bubble: I think I'll go for a walk. I want to see a bit more of the town. Bubble: I'll be back soon Verly. Bubble: Of course. You've been a gentleman this whole time. Bubble: After all this time I'm finally human again. Bubble: I don't know what you did but you've given me the greatest gift anyone ever has. Bubble: Yes! I know! It's amazing! Bubble: <Character>, I'm going to go out and talk to people and just enjoy walking on two feet again! Bubble: It's been so long. Heeheehee! Bubble: I'll be back soon Verly! Bubble: It's past time for things to be made right. ??? : So you can make another mess that you'll never clean up? Bubble: Yes, "Bubble!" indeed. It's so good to know my sisters missed me. Bubble: Not quite normal, but close. No thanks to any of you. Bubble: STOP IT! ALL OF YOU! Bubble: I didn't come back for you to apologize. I came back because I need to fix the messes we've caused over the years. Bubble: You know exactly what I mean. Bubble: Over the years we've caused trouble and misery for so many people. Bubble: My blind desire to be normal again, more than any other. Bubble: Did you all ever stop to think about what happened to those that were changed during the times our candy went wrong? Bubble: Do you think the Moglins deserve to be turned into horrible monsters every year? Bubble: Do you think M.O.P. likes being cats, still, after we never bothered to help them?! Bubble: And we never looked for them! Just like everything else, they were just swept under the rug once Croft returned home! Bubble: We didn't even TRY to find them the next year when we came back! Bubble: We leave giant heaps of tainted candy just out in the open that altered the creatures around here. Bubble: Did we ever put it in a spot to properly be disposed of? NO! Bubble: Do you really think the things it changed wouldn't attack innocents?! Bubble: What about everything that happened while <Character> was frozen. Bubble: Are we going to pretend that never happened, either? People were hurt! People who couldn't defend themselves. Bubble: I've spent months living in a town being constantly attacked by creatures, some that WE created. Bubble: The people of Amityvale took me in when I had nowhere else to go, even when they were surrounded by evil. Bubble: I know what I've done in the past can't ever be made up for, but I've tried. Bubble: I've helped as many as I could, brewing potions to heal anyone that was hurt, but it was never enough. Bubble: No more waiting. No more excuses. No more ignoring the messes. Bubble: I'm not going to sit around any longer and let more people suffer because of what we've done! Bubble: I will never be able to atone for everything I've done, but I can make sure the things I've helped create never hurt anyone else again. Bubble: It's time to fix all of this. I'm not letting us leave another mess that no one will ever clean up. Bubble: If <Character> will help me, I'll welcome it. If not, I'll find what I need on my own, cleanse Myx, and fix all of this. Bubble: <Character>, if you are willing to help me again, I'll be in there preparing. Bubble: If not, I understand. You don't owe me anything after all I've done, but I could use your help fixing this. Bubble: Thank you... after everything I've done you still want to help me. I don't know what to say. Bubble: Alright. I'll get half and you get half. Then I can fix Myx and we can fix everything else. Bubble: Quiet, I need to concentrate. Bubble: That's because you're not full of evil anymore. Bubble: You'll get over it. Bubble: I can't say he won't ever have anything added to him in the future, but for now he's not a danger anymore. Bubble: Now I can make several large batches of candy to fix this. Bubble: As I was saying, now that he's fixed, I've made several batches of candy that will remove the issues that were caused previously. Bubble: <Character> and I will work on getting it to those that need it. Bubble: You three should go find a way to properly dispose of the piles of bad candy out there. Bubble: I can handle delivering this to most of the things, but there's two I need you to handle. Bubble: I can handle delivering this to the Moglins and even the hostile Zardbies attacking the towns, but there are two groups I can't. Bubble: No, actually. Only a small number still are. The rest are learning to interact in a safe way with the other creatures. Bubble: The Girls from last year and the M.O.P. team. We at least know the Girls are, so you should start there. Bubble: If Sally hasn't made any more of them, and I don't think she can without that specific batch of candy, you should only need about a hundred pieces. Bubble: Compared to how many Moglins turn into Moglinsters or how many people were turned into a Zardbie? Bubble: The girls are usually in the "tea house" so you should head there. Bubble: It used to be the Ice Creamatorium, but Sally renamed it. Bubble: Sally is usually asleep by now so you should be able to get in, give the girls the candy and get everyone out before she realizes. Bubble: After that you'll need to find the M.O.P. Bubble: The last we heard they were seen near Moonridge. Bubble: Once you finish with the Necropolis you should head there and see if anyone knows anything. Bubble: We've fixed almost everything at this point. I dealt with the Hissaphants and the Cheeps from the last couple of years. Bubble: Do you remember the Yaw from the events of a few years ago? Bubble: Yes. That merged with a Gorrillaphant. Bubble: Everything else is taken care of, except for him. Bubble: I already found where he's hiding. Bubble: He's south of here, trying to figure out how to get across a river. Bubble: Three days, if not longer. Bubble: No. You three need to get the rest of the candy ready to send out. Bubble: You stepped in before I had a chance to do anything. Bubble: Well, either way, I'll dispose of the remains. Bubble: There we go. Let's head back. Bubble: That's everything that I can fix that's been caused by our candy. The only thing the candy failed to cure were the Moglins. Bubble: I tried several batches, but through some quirk in their biology they didn't respond to the cure. Bubble: It seems to be linked to their innate healing ability. Bubble: Something in the first batch all those years ago slipped by it and my cure is being neutralized before it takes effect. Bubble: I'm going to keep working on a cure for the Moglins. I can't let them stay like that forever. Bubble: I...I need to get back to Amityvale now. Bubble: I know, but I still have responsibilities there. Bubble: I'll miss you too. Your head was comfy on long trips big sister. Bubble: I'm technically a few seconds younger than Bubble. Bubble: You all have the new batches of candy to hand out...so that should be everything. Bubble: What brings you here? Bubble: I still haven't found a cure for the Moglins. I was going to visit Croft in a few weeks- I'm this close to figuring it out, I swear! Bubble: Yes, of course, you are right... I didn't accomplish much this year, but I should still visit them as soon as possible. Bubble: We can all figure this out! Bubble: I need to see for myself. Verly, come on. Bubble: Don't nyan me! Let's go! Bubble: No. They couldn't have... ? Bubble: If Croft didn't appear on this plane... then it is still in Apsaydaaun. As are my siblings. But... why?! Bubble: My home. Our home. A dark realm existing parallel to this one. Think of it like the Void... but different. Bubble: ... in Apsaydaaun there's a reflection of all of this. Just more... umm... sweet. Bubble: In Mogtober, when the veil between that plane and this one is thin, a portion of Apsaydaaun materializes itself in this very place. Bubble: Which could either be via natural reasons or... they are allowing it to appear. Bubble: I like this place more, <Character>. Bubble: I think... they are preventing it from materializing. Bubble: No point in explaining. Bubble: Because you are going to find out. Bubble: I am going to send you over. To Apsaydaaun. Bubble: Two can play at this game. If they are keeping it from getting here... then I will help you get there! Bubble: To do that, I'll need to make the most powerful treat in existence. A treat...with 999% of sugar! The Plaguenog! Bubble: The timing is absolutely perfect, it's a full moon! I'll just need you to gather the ingredients for me. Bubble: Goremel, fearmint, chuckielate, trickorice and gutterscotch. Once you've obtained all five, you'll need a passage circle to get there. Bubble: I can draw one for you, but I'll need a Sinnomen Stick to do it-so you'll have to get one of those as well. Bubble: And finally, the most important condition of all. For any of this to work... you'll need to be on the verge of death. Bubble: Unless you aren't, drinking the Plaguenog and activating the passage circle won't do anything. Bubble: Only when all conditions are met can you cross over to Apsaydaaun. Bubble: I mean, like, 10-20% HP left on your health bar. Bubble: Please, <Character>, you need to hurry! Bubble: How are you feeling? Bubble: I'll get started then! Come, I have already set up the cauldron. Bubble: After he was purified, when Croft disappeared last year, the cauldron was left "empty". Bubble: Meaning that whatever was binding Myx to this pot was broken. I'm assuming he went to Apsaydaaun with my sisters. Bubble: And this... husk... was left behind. Bubble: Don't worry, after you drink the Plaguenog, it'll pick you right up! That much sugar could reanimate even the dead! Bubble: Don't pass out on me now! Let's begin! Bubble: Now, when I give you the signal, please drink the mixture. Bubble: I'll then immediately activate the passage circle and send you over to Apsaydaaun! Once you're there... please find out what is happening. Bubble: Why wouldn't it... get a grip Bubble! Bubble: <Character>! Are you here?! Bubble: No, I don't have time for this! Bubble: <Character>, Verlyrus has been kidnapped! Bubble: I don't know why! Bubble: Well, I might have a vague idea, but that's not important at this moment. Bubble: What is important, is that I know who did it! Bubble: Look at this. I found it in Verly's house. Bubble: Oh, I know very well, but I'm still going to. Bubble: They kidnapped my... friend. Bubble: You're right, you can't. Bubble: I already made the Plaguenog for you, <Character>. Bubble: Verlyrus has been kidnapped by Al, Akaz and "M". Bubble: We'll have to go through the Foulest, and then head south, to Lataraji. Bubble: Cats are interdimensional entities. Bubble: The Brothers monopolize human candy for the inhabitants of Apsaydaaun. Bubble: But waiting for humans to accidentally end up in this place is a gamble. I have a feeling... they will try to use Verly. Somehow. Bubble: There is no time to think this over, let's go! Bubble: We need to talk! Bubble: I stopped caring as soon as you made this personal, Majji! Bubble: Don't lie to me! He's been kidnapped by one of you! Bubble: Having a cat would mean a boost in sales. Bubble: And I know you. Bubble: You are missing someone. Where is Al'nold? Bubble: If these two don't have him, then Al surely has. Bubble: We can do this AFTER we find Verly! He is our priority! Bubble: I said we'll go back for them! Right now, whatever Al'nold is planning to do with Verly is more important. Bubble: Oh, because, you know, he could theoretically be able to kidnap even MORE people!? Bubble: WHAT HAVE YOU DONE TO HIM! I'm sorry too. For... jumping to conclusions. But you have to understand, you kidnapped my friend. 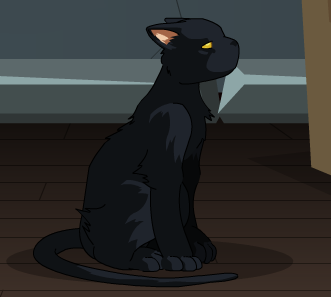 -- Occavatra for witch form image. -- Themis for Apsaydaaun image.